This kind of "correspondence" checkerboard enabled two people to play the game though participants were in separate locations. Information about the next move was indicated through the numbered squares on one side. 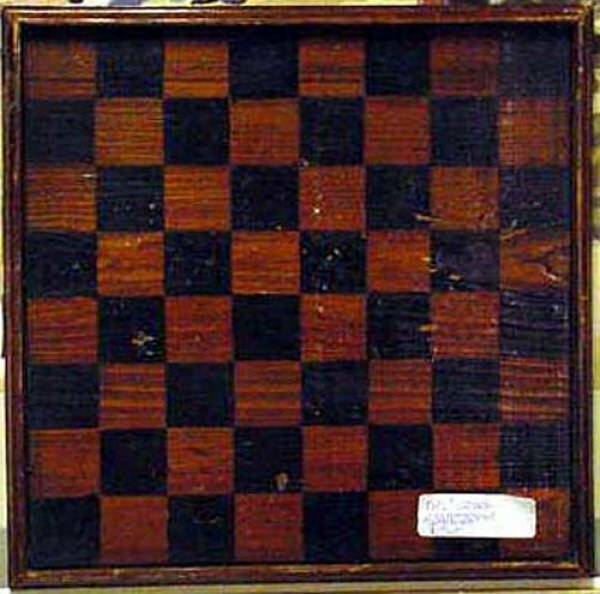 Traditional painted checkerboard is shown, which is the reverse. White label should have been removed from photo!